Uisce’s water problems were not yet sorted, there were still gaps in her training that needed to be filled in. This was especially obvious when I took her, as Bertie’s travelling companion, to the UK last month. Strange water and moving water proved most problematic as I discovered when we took a walk along the River Avon. 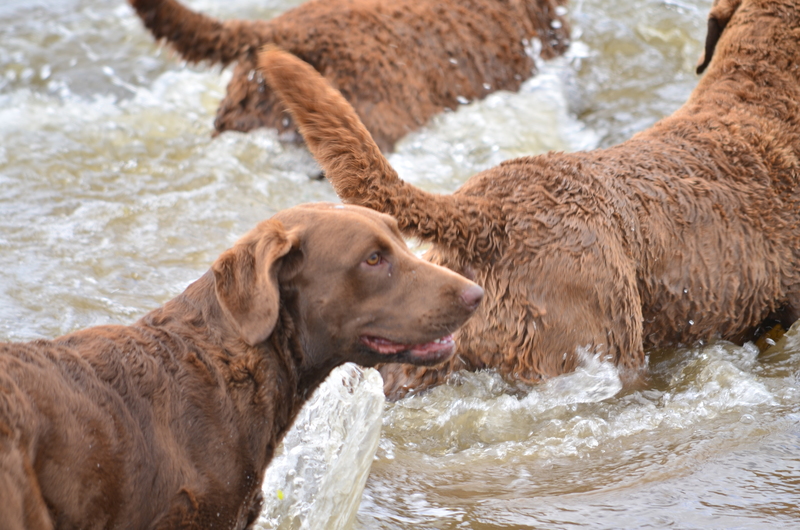 Her desire to retrieve was, and is, strong but the difficulty was her pick up in water. She would reach out for the retrieve then the splashing and circling would start, the retrieve forgotten and a lot of calling and encouragement from me on the bank was required to entice her back to shore. Bertie was then dispatched to retrieve. Back to the drawing board. At the same time there was progress, she was easier to recall and although she splashed and circled there wasn’t the frenetic water biting that had been there previously. It was Jason Mayhew who first suggested that part of her problem might be related to a fear and lack of confidence rather than an obedience issue. This would change my entire perspective and approach to her training going forward. We met up with him on that Saturday afternoon and had the opportunity to do some training. For the most part Uisce sat and watched as I concentrated on Bertie. The afternoon was the first hot one of the year and at the end of the session we took the dogs to a small pond for a welcome cool off. It was a perfect set up for teaching young dogs how to enter water with confidence. 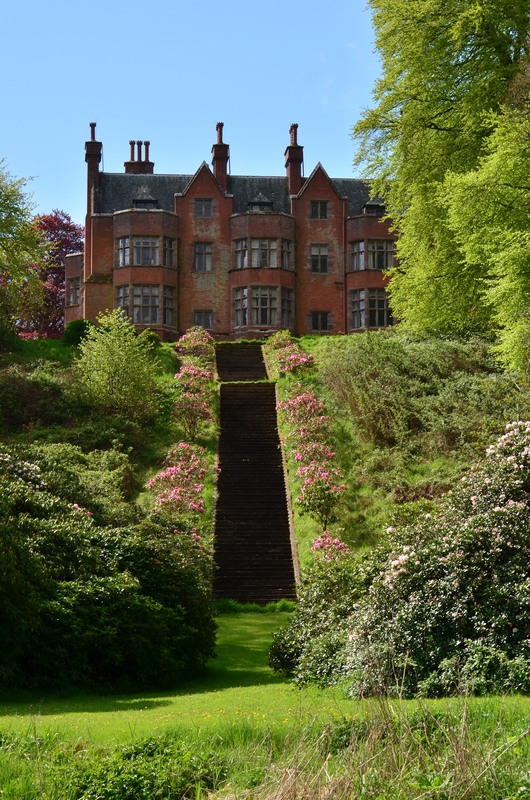 Small, with gently sloping sides for easy entrance and exit. After watching the other dogs in the group carry out their respective retrieves I set Uisce up for one also. I hoped she would repeat her behaviour as I wanted to see if Jason could perhaps look on it with fresh eyes. She did not disappoint. The retrieve was not difficult, in she went and once again when within touching distance of the dummy the splashing started. We watched in silence from the bank for a few moments. His suggestion was to walk away, say nothing and see what would happen. Alas we were saved that trouble by a very territorial cobb swan who chased her back to shore with more speed than she could muster. We moved further downstream and threw a small dummy into very shallow water at the edge, just to get her confidence back. Today was not the day to push on with any more water work. We both needed to reassess and reflect. As many of you may have figured by now, I think about things a lot, particularly in relation to dog training. I try to figure out where the dog is coming from in relation to a given situation and then try to work out a mutual meeting point for both of us. 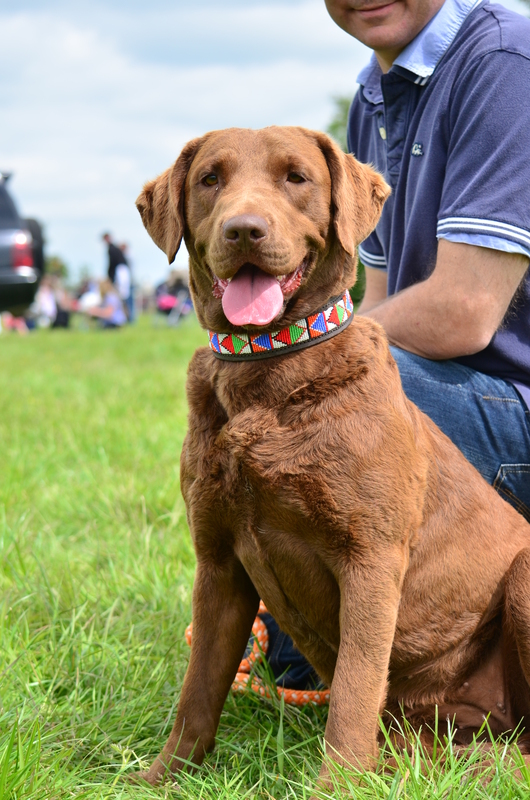 My main emphasis is to make training interesting and even fun for my dogs, after all much of what I ask of them is for my benefit and not theirs so I feel there has to be a pay back of sorts for them. I knew I had reached a point in Uisce’s water work training though, where I had guided her as far as I could. It was now her turn to shoulder some of the responsibility in figuring out what she would gain from retrieving efficiently from water. To do this I needed two things – safe water and an experienced older dog to mop up any retrieves that she was likely to lose on this particular learning curve. The Ramparts in Navan is perfectly set up for what I had in mind. 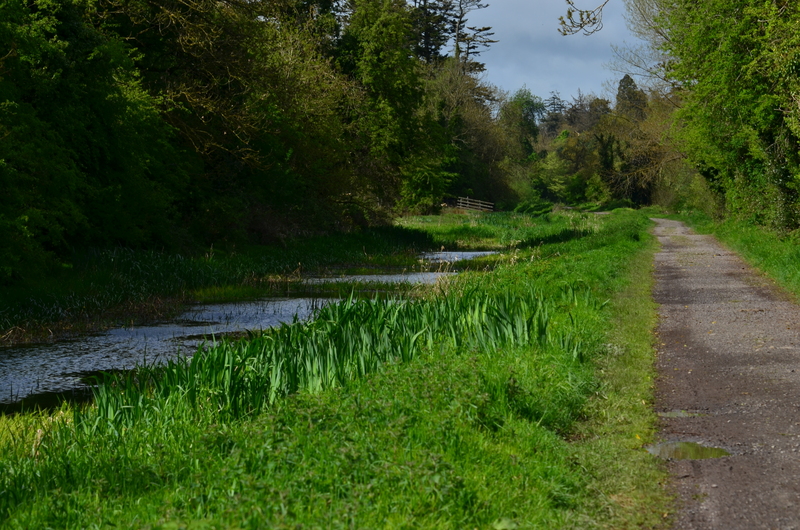 It is an eight kilometre walk with a grassy bank canal on one side and the river Boyne on the other. 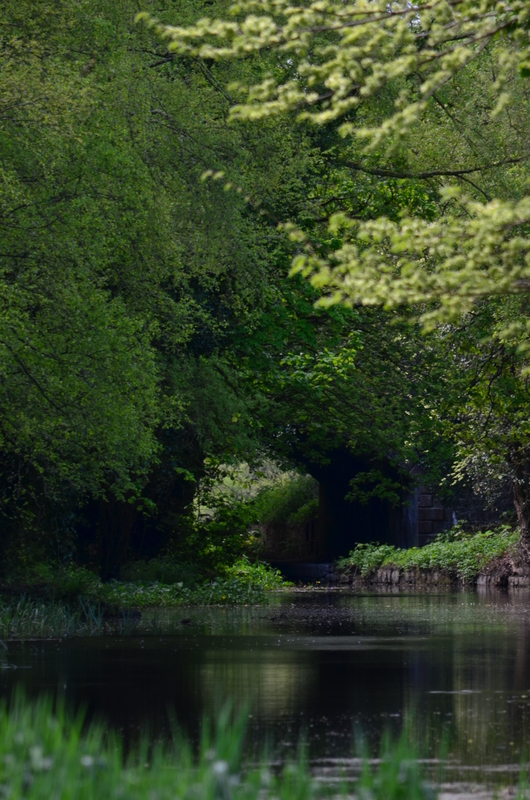 The Boyne is separated from the path by a wide bank of rushy vegetation so most young dogs, if they are very water focussed, will gravitate towards the canal as opposed to heading straight for the river. I intended to make use of both, eventually. I took Chester along as my assistant picking up dog and he was fairly busy to begin with. The first morning I took them out I tried a short retrieve into the canal from a shallow sloping bank. 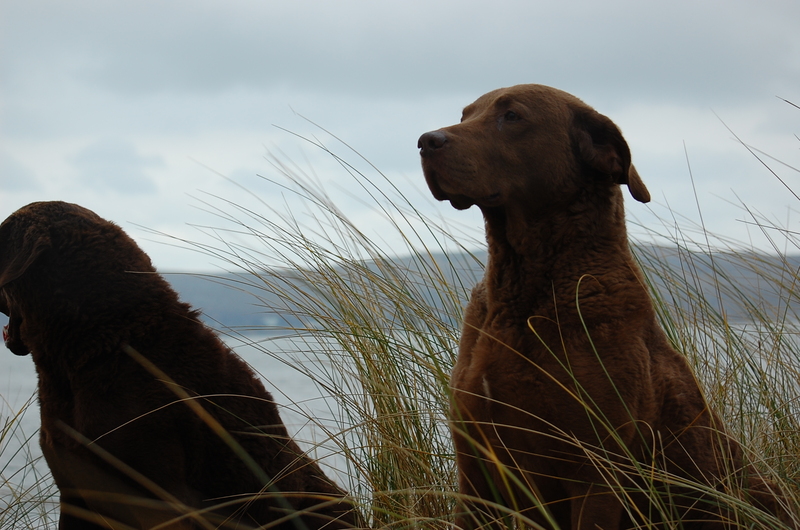 I never allow a young dog a first retrieve or even a second…she sat and watched as Chester retrieved. Then I sent her and as expected she did her usual pirouette in the clear canal water, round and round she swam every now and then bobbing the ball with her paw. The time had come to hand the baton to her, so to speak. I sent Chester into the water to pick up the tennis ball and walked away without saying a word. As he made his way through the water to pick it up something happened…..Uisce beat him to it, picked the ball perfectly and swam to shore. An experienced dog is often required. And that was all it took. There were times in the coming weeks when I presented her with new and challenging situations in water that she would panic and splash but the difference was I recognised it as that….lack of confidence and instead of shouting and correcting her I would simply send the old guy in for the retrieve and recall her to shore, trying again with a simpler retrieve until the splashing became almost non existent and Chester unemployed. Today I took her to the Boyne. I had no helper in relation to Chester, as Uisce is in season so this was to be another step forward in her responsibility. The point I chose for her to retrieve from has a bank of bullrushes so she would have the challenge of coping with current as well as an obstacle. I threw the dummy beyond the rushes so she had to swim through to find the retrieve before it was swept down river. She succeeded every time and thoroughly enjoyed it too. Uisce, being able to enjoy water again. My walks along the ramparts also reaffirmed for me Jason’s suspicion that she may have been a young dog lacking confidence as opposed to a true water- freaker, as apart from sending her to water for a retrieve she is quite happy to amble along the path without entering water for the sheer hell of it. Looking back I know the time invested early on in establishing a good recall on land first, then progressing to water was not wasted. In fact it became key when the point came for Uisce to choose which direction she took in relation to her training. I know in our breed in particular there are many owners struggling with young cheaspeakes to gain control in water. I hope by following our tale it may help you to look at a different approach to moving on past this sticking point in training. This entry was tagged dogs, editor, gundog training, nature, publishers, retrievers, short post, writing. Bookmark the permalink. ← Lessons learnt through experience. How lovely to see Uisce progress this way. A very sensitive approach to getting the most of your Chessie and great that you can use an old dog to teach a young one new tricks!